Finland, officially the Republic of Finland (Finnish: Suomi, Suomen tasavalta, Swedish: Republiken Finland, is a Nordic country situated in Northern Europe. It shares land borders with Sweden to the west, Russia to the east, and Norway to the north while Estonia lies to its south. Finland is bounded by the Baltic Sea, with the Gulf of Finland to the south and the Gulf of Bothnia to the west. The Åland Islands, off the southwestern coast, are an autonomous, demilitarised administrative province of Finland. Finland has a population of 5,282,583 people spread over 338,145 square kilometers (130,558.5 sq mi) making it the most sparsely populated country in the European Union. 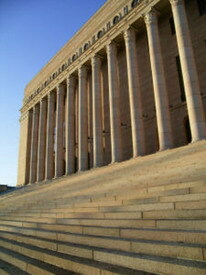 Finland is a democratic republic with a semi-presidential system and parliamentarism. Finland was previously part of the Swedish kingdom and later an autonomous Grand Duchy in the Russian Empire, until it declared its independence on December 6, 1917. Imatra is a town and municipality in eastern Finland, founded in 1948 around three industrial settlements near the Finnish-Russian border. In the course of the last 50 years, this amorphous group of settlements has grown into a modern industrial town dominated by Lake Saimaa, the Vuoksi River and the border. It gained its municipal charter in 1971. A high class hotel rich in history, situated in the center of Imatra, amidst the cultural landscape of the river Vuoksi.This nationally renown hotel welcomes you with 92 rooms with a charm on their own. up to date and adaptable conference amenities accommodating festivities and events for up to 250 people. Restaurant serving regional specialities and international cuisine.The magnificient Imatrankoski rapids, the naturally striking cultural landscape, social programmes providing many new experiences, and a daash of luxurious castle life ensure the hotel patrons a nice stay. Stroll down to Lake Saimaa or walk to the city centre shops from the Scandic Patria hotel in Lappeenranta. Newly renovated Scandic Patria is located in the city centre of Lappeenranta, close to harbour and fortresses, where the city once started to form. It is easy to stay with us, both in business as well as leisure. The city with its shops is close by, but also nature, jogging tracks and lake Saimaa are in reach of hand. Unwind in the sauna at the Scandic Patria hotel, then enjoy a delicious dinner at the modern Torilla Restaurant. Go offsite to shop in the Market Hall or borrow a bike to see Lappeenranta attractions like the 18th-century fortress and museums. If you have time, take a day trip to Russia. The Kuopio region is situated in central Finland, in the verdant province of North Savo, which is interspersed with thousands of lakes. The region can be reached in less than an hour by air from Helsinki, the capital of Finland, and by road or rail the journey only takes a few hours. An ideal place in the city of Kuopio, the Cumulus Hotel offers a warm welcome, pleasant ambience and convenient facilities. The Cumulus hotel is located in the heart of Kuopio, within easy walking distance of all the town's shops and attractions as well as the beautiful lake. All the 141 guestrooms at this hotel are spacious and equipped with modern facilities to ensure you a pleasant and relaxing stay. You can relish tasty food at the onsite restaurant and later sip a fine drink and relax at the bar that is available at the hotel. Business travellers can make use of the hotel's conference facilities that are ideal for meetings or social gatherings. During leisure, you can relax in the sauna or take a brisk dip in the swimming pool and remain fresh. Enjoy breathtaking views of Lake Kallavesi from the Scandic Kuopio hotel’s indoor pool. Work out in the fitness room or relax in one of 3 saunas. Enjoy reindeer steak and lake views in the Restaurant Mesimarja. 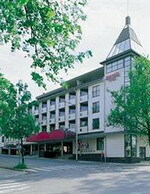 This central Kuopio hotel has 8 meeting rooms for 2-400 and wireless internet access throughout. Plunge into the indoor pool or work out in the fitness room before relaxing in the sauna or Jacuzzi at the Scandic Kuopio hotel. After exploring Kuopio attractions like the stunning Lake Kallavesi and taking in the views from Puijo Tower, try reindeer steak at the onsite Restaurant Mesimarja. 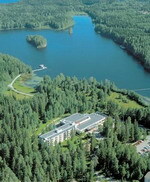 Spa Hotel Rauhalahti is located only 5 km from Kuopio city centre, by beautiful Lake Kallavesi. Here guests can choose spa hotel rooms or apartments in the apartment hotel. Rauhalahti Spa offers numerous spa experiences such as bubble pools, saunas, kids' pools and a water slide. Guests are also welcome to take advantage of all exercise facilities. Participate in a daily leisure programme, rent skis, snowshoes or a kick-sledge. Snowmobiles, ATVs and boat safaris are also available. Rauhalahti's specialties are the genuine lumberjacks' lodge called Jätkänkämppä and the world's largest smoke sauna. Spa Hotel Rauhalahti has 4 different restaurants and guests can enjoy both live music and a Karaoke night club. Try the à la carte menu or the lunch and dinner buffet. The therapy department offers an extensive choice of herbal baths, peat treatments, massages and beauty treatments. There is also an aqua gym and aqua relaxation, fitness training and various organised trips and safaris. The capital of Finland's Western Lake District, Tampere is located in the midst of a lake labyrinth - 200 lakes situated within the city limits. The city with a rich industrial heritage is nowadays a popular congress venue and an ideal holiday destination for the young and the young at heart, for families with children and for culture enthusiasts. A large city by Finnish standards, with almost 210,000 inhabitants, Tampere still manages to feel like a small town. In the centre, everything is within walking distance. Some 170 km north of Helsinki, Tampere has direct flight connections with Stockholm, Copenhagen, Riga, London, Dublin, Frankfurt, Bremen, and, from December 2007 onwards, Milan. 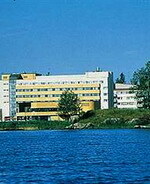 The Hotel Cumulus Hämeenpuisto, near theatres and the stadium, is a comfortable place to stay. The Cumulus Hämeenpuisto is a cosy city hotel for the sporty leisure guest. A well-equipped fitness centre is linked with the hotel. 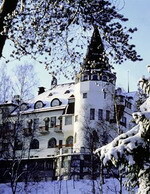 The hotel is only a short walk through Hämeenpuisto boulevard to, for instance, Särkänniemi amusement park or Moominvalley. All the hotel rooms are non-smoking. Whether you are preparing yourself for work or are on vacation, consider breakfast at Cumulus as a moment of well earned indulgence. The Cumulus breakfast consists of an excellent selection of fresh vegetables, fruit, cold cuts, cheeses, cereals, muesli, bread, and, of course, nourishing porridge. The Cumulus breakfast is included in the room price. 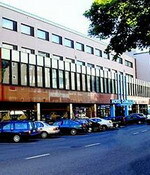 The Hotel Cumulus Koskikatu is a popular base for visitors to Tampere. The pleasant and modern rooms and the popular HuviRetki and Hemingway’s restaurants offer a broad selection of services. A successful meeting, too, can be held at the Cumulus Koskikatu. Thanks to the hotel’s central location, it’s only a short distance to all of the city’s leading sights: Särkänniemi amusement park, the Sara Hilden Art Museum, Moominvalley, Tampere Hall and the city’s theatres. Whether you are preparing yourself for work or are on vacation, consider breakfast at Cumulus as a moment of well earned indulgence. The Cumulus breakfast consists of an excellent selection of fresh vegetables, fruit, cold cuts, cheeses, cereals, muesli, bread, and, of course, nourishing porridge. If you are really hungry, you can choose from the hot alternatives; scrambled eggs, meatballs or how about Prince sausages? The Cumulus Pinja is a white stucco-fronted Art-Nouveau style building located in the center of Tampere, a 600 meter walk from the Town Hall. Polished wooden floors, light walls and warm patterned fabrics characterize the 61 air conditioned guestrooms. Guests can unwind Scandinavian style in the hotel's onsite sauna and make use of the gym, squash courts and aerobics classes on offer at...(see more) the neighboring fitness center. Dark wooden furnishings, muted colors and traditional-style carpets give an old-world feel to the hotel's restaurant, which serves buffet breakfasts and an international a la carte menu at lunch and dinner, while drinks are served around the open fire in the lounge bar. Wireless Internet access is available throughout the hotel's public areas. The city's shops, museums and restaurants are within the vicinity, and the attractions of Moomin Valley and the Sarkaniemmi amusement park are less than two kilometers away. Tampere airport is approximately 16 kilometers and a 20 minute journey from the hotel. 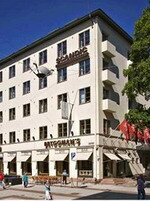 Enjoy a central location in Tampere at the Scandic Tampere City hotel opposite the railway station. Do business in our 8 meeting rooms and enjoy wireless internet access at no extra charge. Work out in the gym or relax in the sauna, bar and restaurant. Tampere attractions like the Cathedral are easy to walk to. Stay healthy at the Scandic Tampere City hotel’s gym and sauna. After a busy day, unwind over dinner or a drink at our modern restaurant and bar. Borrow a bike to explore Tampere attractions nearby. Go shopping at Koskikeskus mall or play golf at Tammergolf. Turku, capital of Western Finland prov., SW Finland, at the mouth of the Aurajoki River on the Baltic Sea. The center of the fertile agricultural region of SW Finland, it is also the country's largest winter port and an important industrial city. 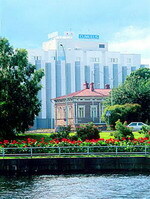 Its manufactures include shipbuilding, machinery, food, and textiles; tourism is also important. Known as the “cradle of Finnish culture,” Turku is among Finland's oldest cities. Swedish Crusaders landed on the site in 1157. It was the seat (1220) of the first bishop of Finland, and the capital of Finland until 1812. The national university was in Turku from 1640 to 1827, when a fire destroyed almost the entire city and the university was moved (1828) to Helsinki. The Treaty of Åbo, by which Sweden ceded part of SE Finland to Russia, was signed in the city in 1743. The great cathedral was begun in the early 13th cent. The 13th-century castle, burned in 1614 and restored in 1961, is now a historic museum. Turku has a Finnish university (founded 1917) and a Swedish university (founded 1918). 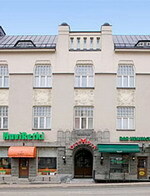 The Cumulus Turku is a friendly hotel in the centre of town. Aside from its good location and cheerful service, the hotel features comfortable rooms, a cosy lobby and a bright and spacious breakfast restaurant. Whether your trip is for business or leisure, your welcome here will be warm. Turku is a great place to learn more about Finnish history. 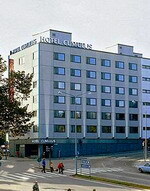 Nearly all of Turku’s most important attractions and events are within walking distance of the Hotel Cumulus Turku. You can get tickets to the town’s best attractions already at the hotel. The Holiday Inn Turku hotel is pleasantly situated in the city centre of Turku, only a couple of blocks away from the Market Square, the busiest shopping streets and the verdant River Aurajoki. Modern cultural city Turku and the unique archipelago offer lot to see and experience. Cosy interiors, international-class comfort and excellent service ensure a pleasant stay for people travelling on business or for pleasure. 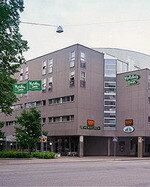 The Holiday Inn Turku has 199 peaceful quality rooms, Finnish Sauna and a great swimming pool. All our rooms come with great beds, Pillow Menu, ADSL or WLAN highspeed internet connection, hospitality tray and ironing equipment. Brasserie Armada is a classy and cosy restaurant for delicious dining, meetings and socialising. Bar Hemingway’s is a cheerful place for a get-together. Garage parking is available for a fee and there is free off-street parking. There is also a Wi-Fi hotspot at the lobby. 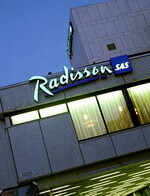 The Radisson Blu Marina Palace Hotel is located in Turku, right on the banks of the Aura River, in the heart of the city. The hotel was opened in 2006 after the total renovation. The hotel represents 1970’s architecture joined by simple Finnish design and the richness of baroque. The bus and train stations are just a 15-minute walk from the hotel. Turku airport is 9 kilometres from the hotel. 184 stylish rooms. Wireless and High-Speed Internet Access is available throughout the hotel. Three saunas, one of which for private use only. Fully- equipped gym and beauty saloon. The street-level restaurant Aurora offers Italian delicacies and the best steaks in the city. The elegant lobby bar is ideal place to relax with a nightcap or aperitif. 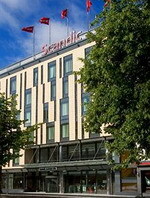 Stay at the Scandic Plaza hotel and enjoy a central Turku location. Do business in our meeting room with wireless internet access or work out in the exercise room. 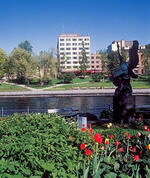 Find shops in Hansa shopping centre opposite or explore Turku attractions like Turku Cathedral. At the end of the day, relax in the sauna, bar or restaurant. Work out in the 24-hour exercise room at the Scandic Plaza hotel. Unwind with a sauna before dinner at Bryggman’s Restaurant. Borrow a bike and explore Turku attractions like the River Aura. Go shopping in the Hansa Centre opposite.